A weekend of great company and excellent food. 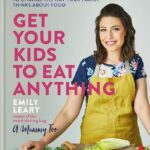 Food Blogger Connect (FBC) is (in their words) “the world’s leading International food blogging conference” held annually in London, England. Founded in 2009 it brings together food bloggers, industry representatives and educational speakers for a packed weekend of networking and community. After hearing so many positive reviews from my food blogging chums about the events in prior years (especially FBC 2014) I put attending the conference on my 40 Things I Want to Do Before I Turn 40 list. Tickets for this event start at £150 and increase to £299 for a full week-end pass with lab access. This year I was kindly gifted a full weekend guest ticket with lab access by the lovely Monica Shaw at Smarter Fitter who was speaking at the event, and so I booked my travel tickets all the way to the big city of London (via a slight detour to Paris, of course!). I had to get up at 3:30 am (UK time) to catch my early morning flight from Paris to London. 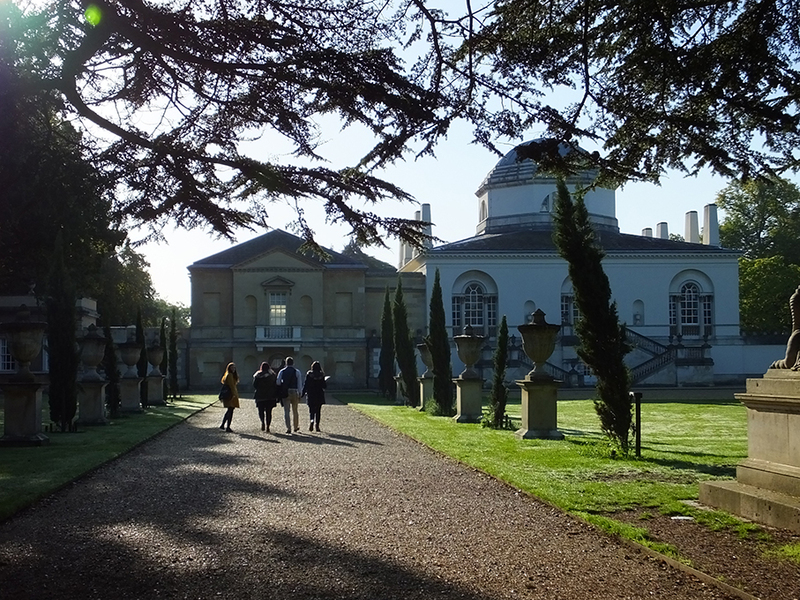 I checked myself into my hotel and got the London Underground to as near Chiswick House as I could. Yay for iPhone maps – it’s nigh on impossible to get lost with these! 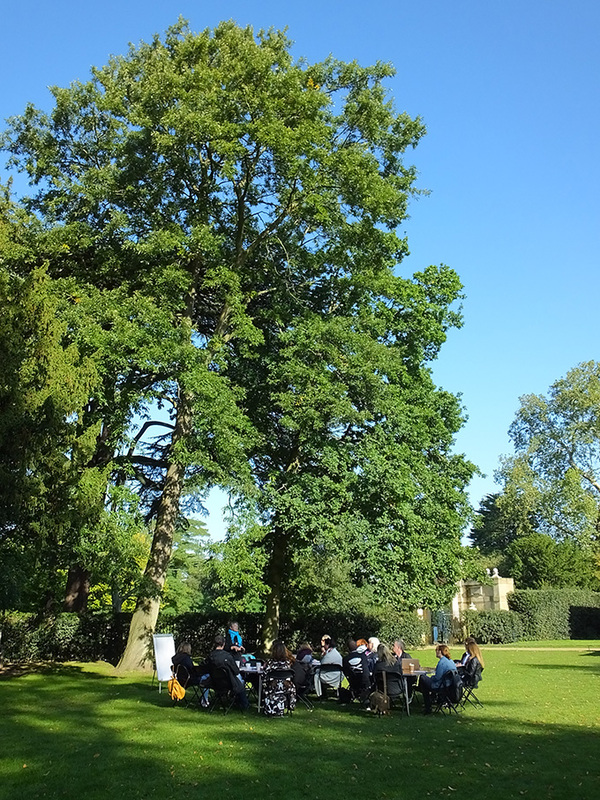 FBC 2015 was held from the 25-27 September in tents in the picturesque Chiswick Gardens, the gardens surrounding a beautiful 18th century neo-Palladian villa in west London. My favourite talks over the weekend were by Claudia Roden, author of A New Book of Middle Eastern Food/span>, a very informative food bloggers guide to tax session by Nyman Libson Paul, Awesome Analytics by Monica Shaw, Monetise Me, an open floor conversation led by the fantastic and inspiring Urvashi Roe (her Content Planning lab was superb too), and Share, Inspire & Earn by Filo, led by a very engaging and enthusiastic speaker (I’ve signed up and I’m waiting for their app to launch any day now!). The best bits of the conference? The awesome company and excellent food. In between talks and labs there was plenty opportunity to socialise with my fellow food bloggers and try out all the foodie samples on offer. Many of these bloggers I’ve been chatting online with for years and it was fantastic to have the opportunity to finally meet them face to face. Pop-up street food stalls from all over London were on hand with a continuous supply of food and drink while we socialized. Oh my dog! 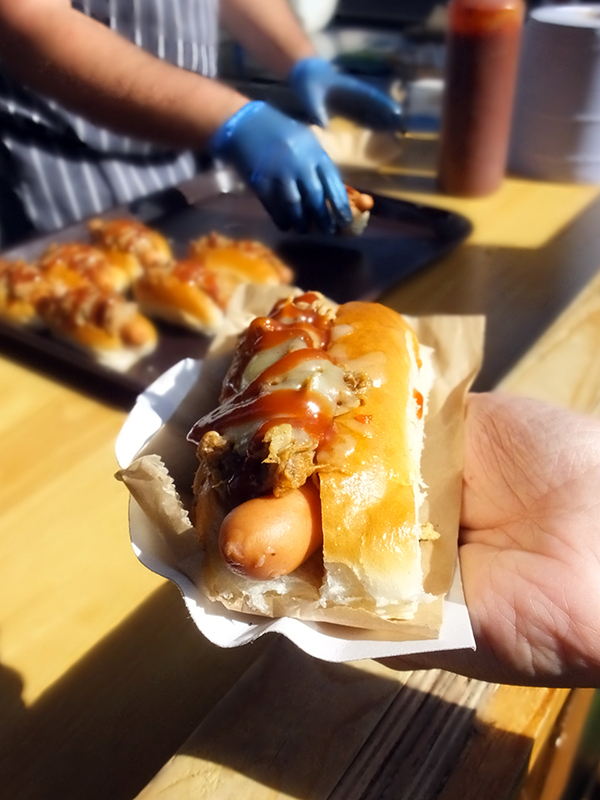 hotdogs – a German frankfurter with a spicy BBQ pulled pork topping. 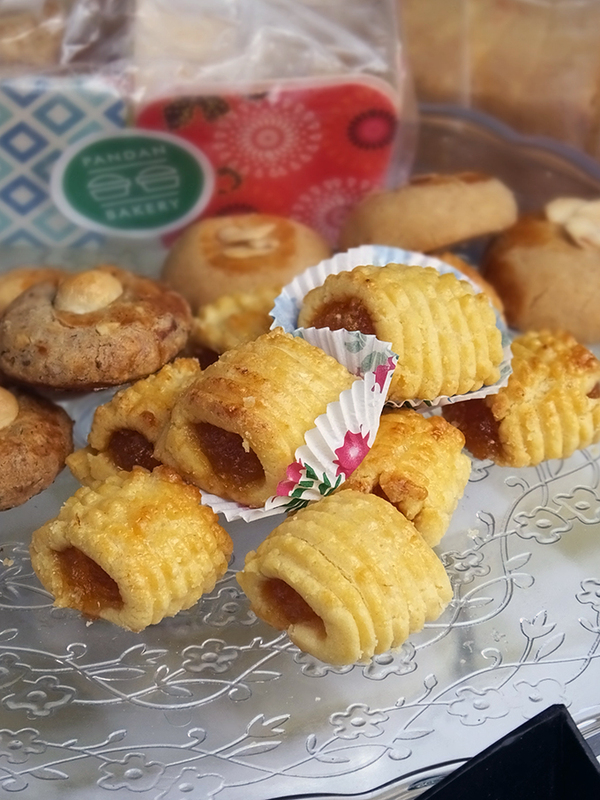 Malasian nibbles from the Pandan Bakery including vibrant green bakes made with pan dan leaf extract. 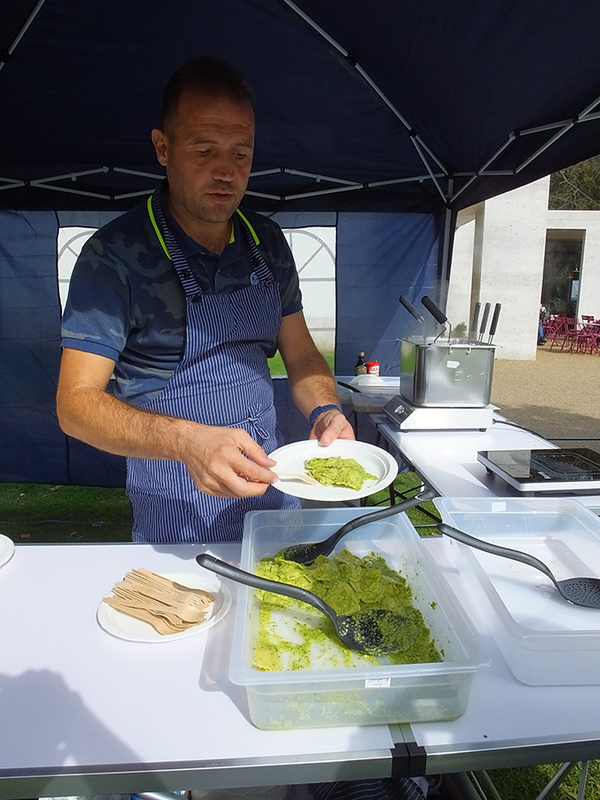 Homemade pasta with a gorgeous walnut pesto by Trofie and Ravioli. 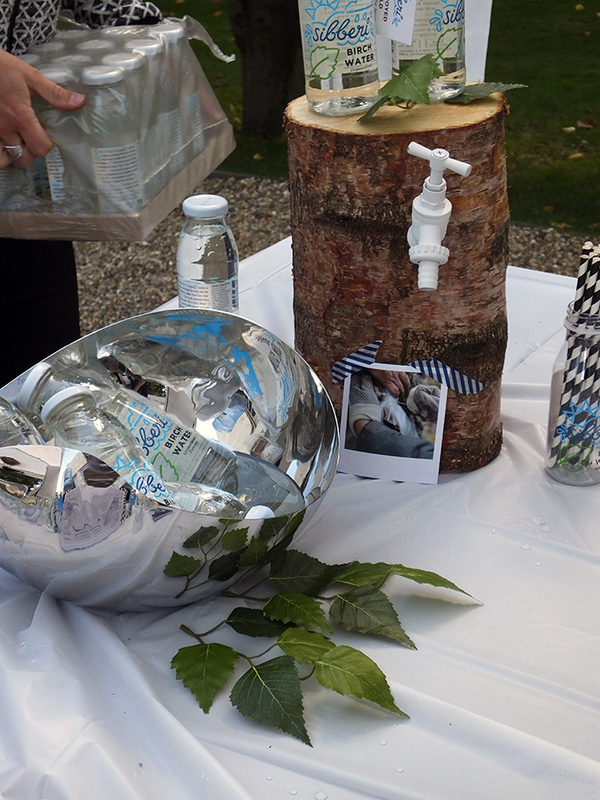 Birch water by Sibberi – unsweetened sap direct from the birch tree! 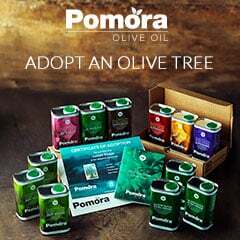 The latest superfood, I hear. 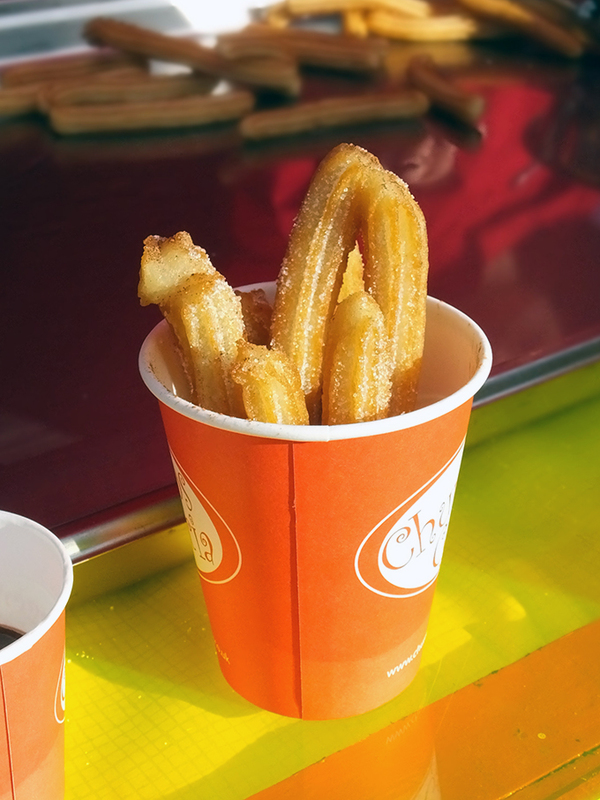 My first taste of churros, ever, from Churros Garcia. 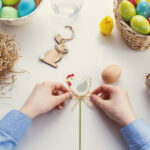 I’m so making these at home! 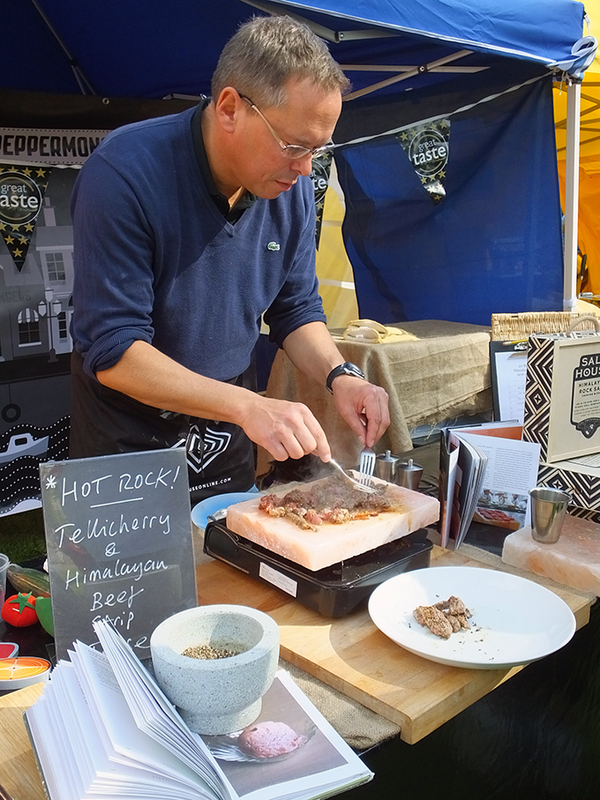 Steak cooked on a block of Himalayan Rock Salt by Salthouse & Peppermongers. 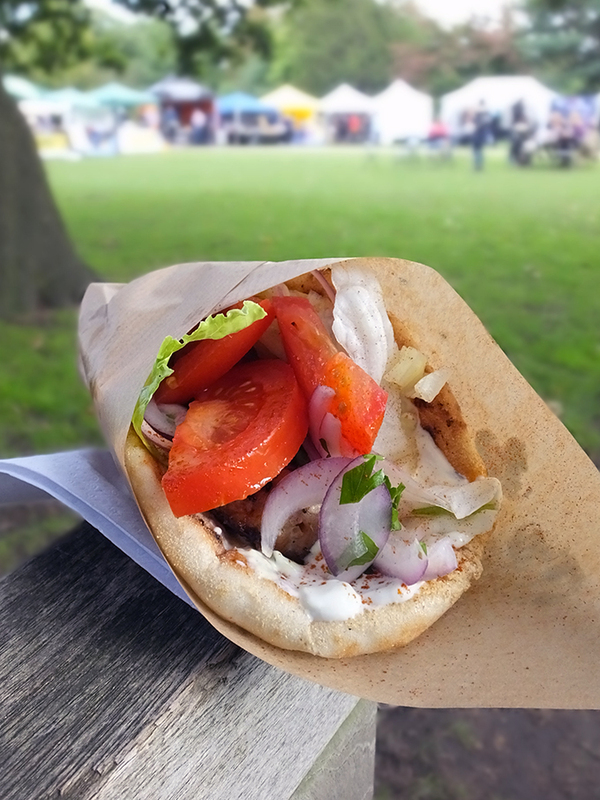 Souvlaki by The Athenian – oh…. my…. goodness! 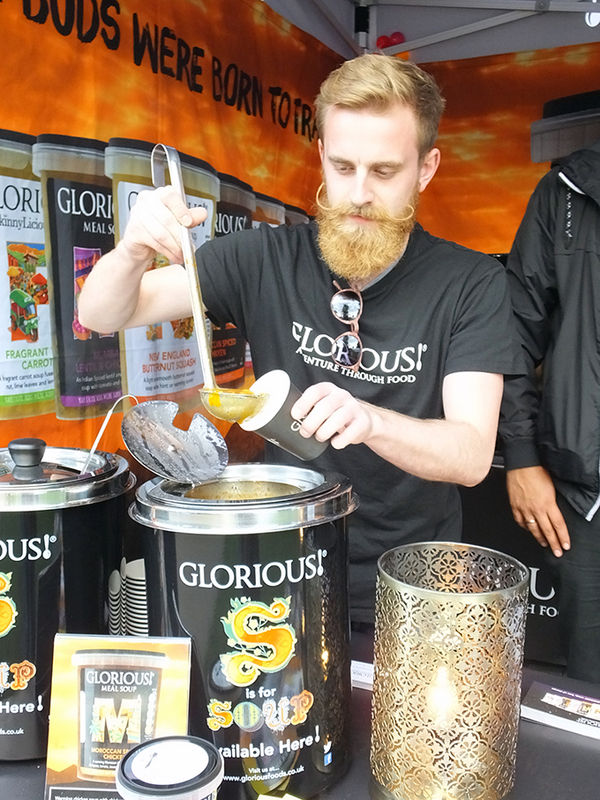 Soups by Glorious. Check out that awesome moustache! 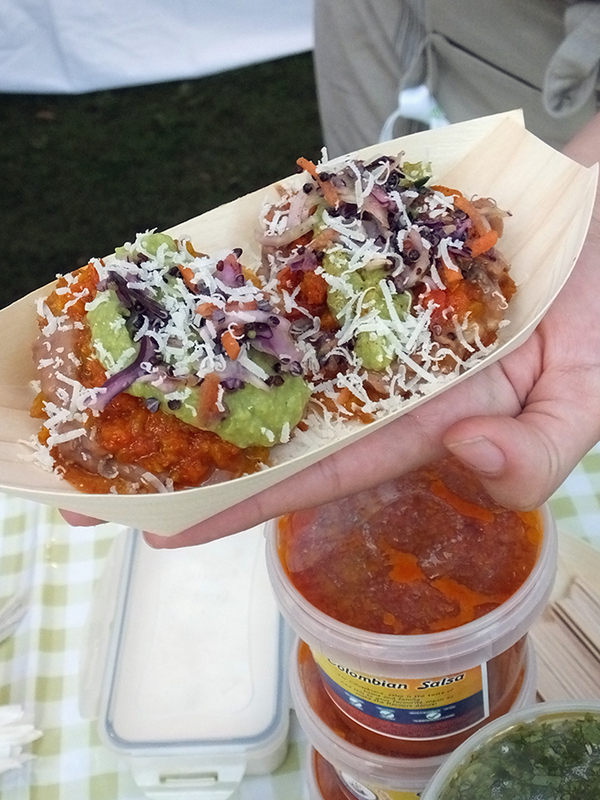 Green plantain crisps with Columbian beans, salsa and guacamole by the Columbian Street Kitchen. 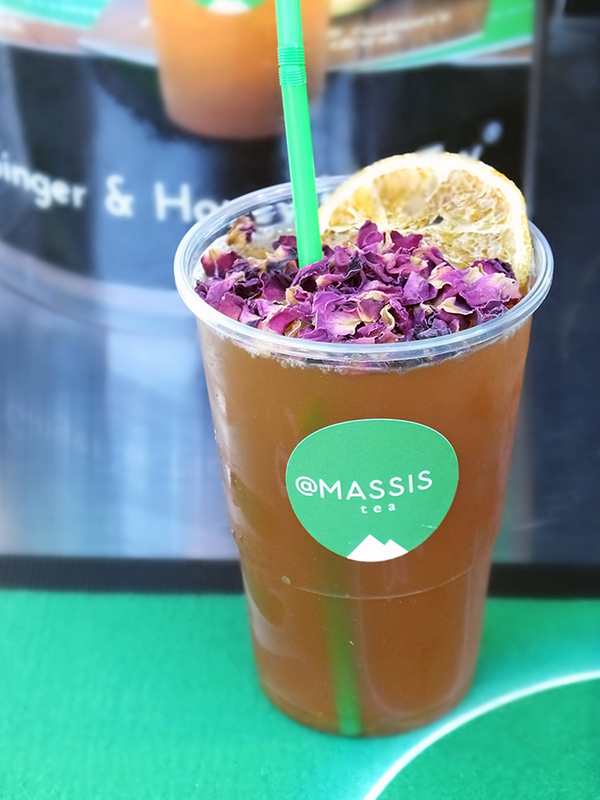 Best iced tea ever by Massis Tea, beautifully presented and refreshing. 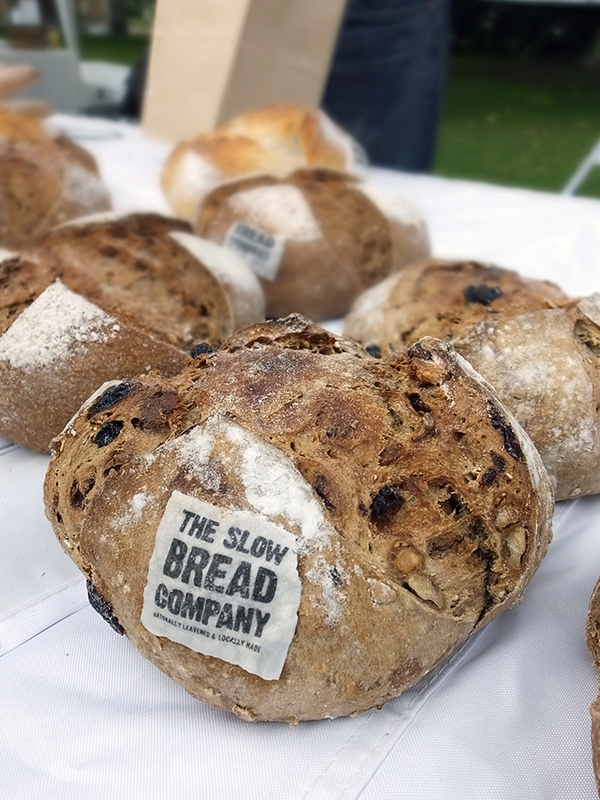 Assorted bread samples from The Slow Bread Company. 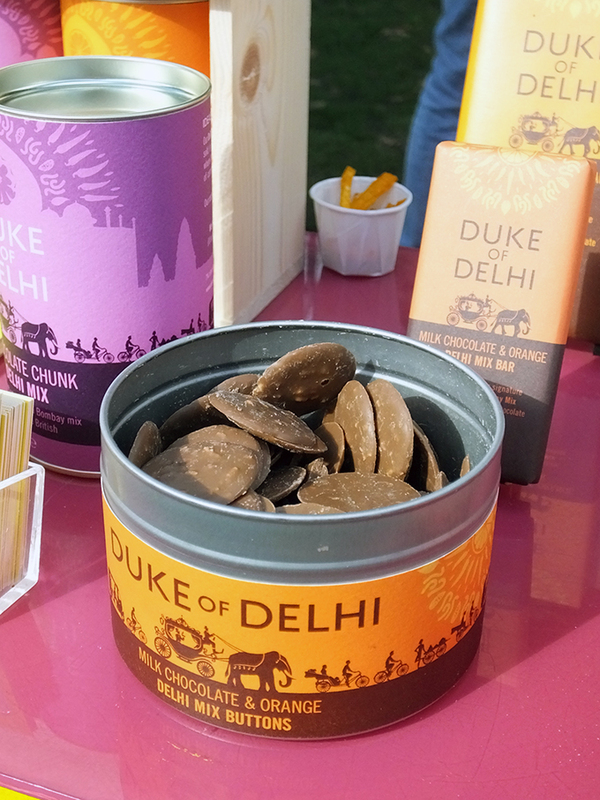 Duke of Delhi chocolate – the dark chocolate bombay mix is lovely! 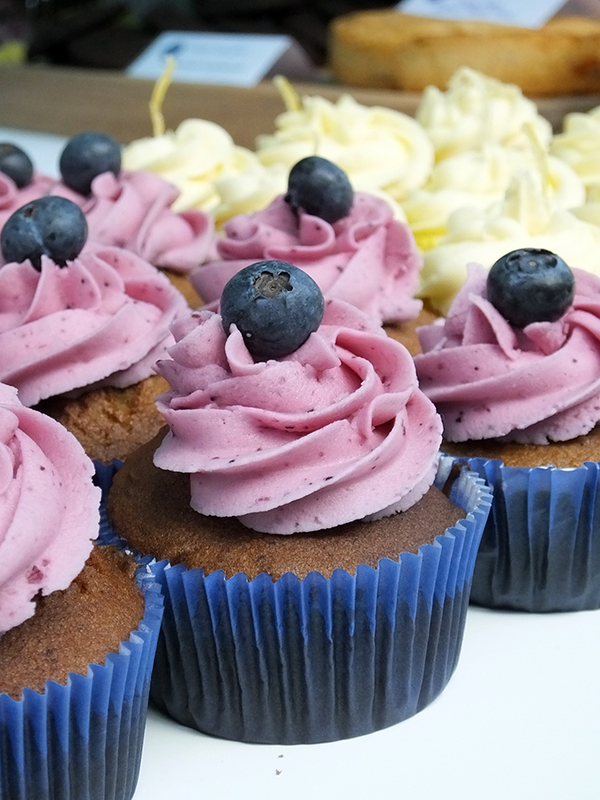 Free from Wholesome Bakes samples – although we were all eyeing up the cupcakes! Vietnamese summer roll from Roll n Rock – the dipping sauce had quite a kick! 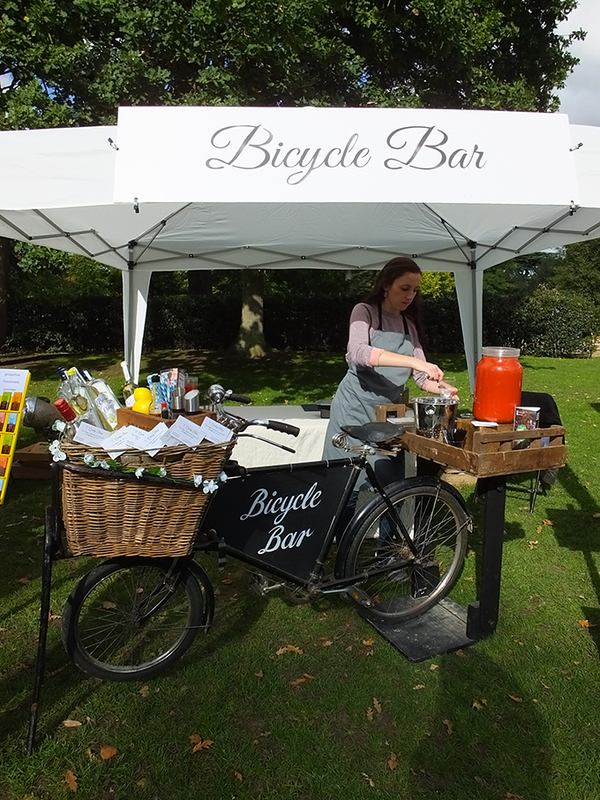 Bloody Mary and a Gin & Tonic from the Quirky Bars Bicycle Bar – scrummy! 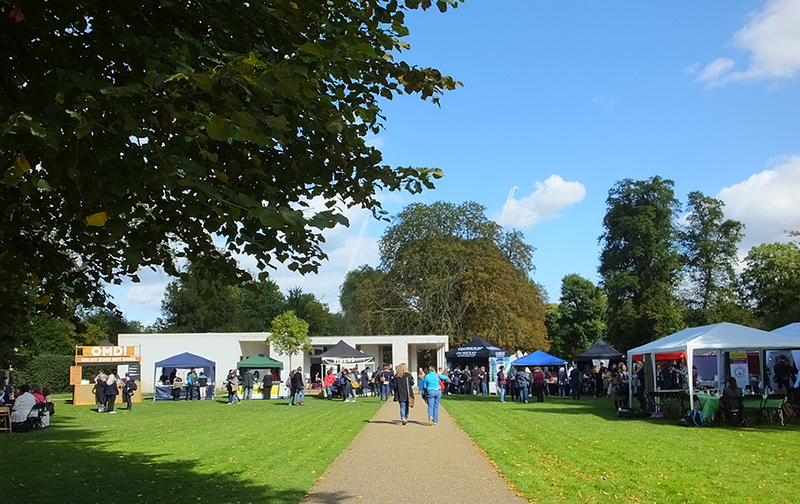 Being a fairly solitary person I sometimes found the crowds and socializing a bit overwhelming, so I would disappear off into the Chiswick Gardens for a spot of geocaching. I’m pleased to say I found all the caches in the area (with a little help from Jen of Jen’s Food!). 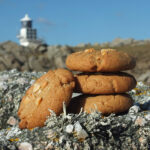 I’ve even encouraged a few other food bloggers to start caching! All in all I was really glad I attended the event, even though the general vibe at the end of the conference is that it hadn’t gone as smoothly as it could have. 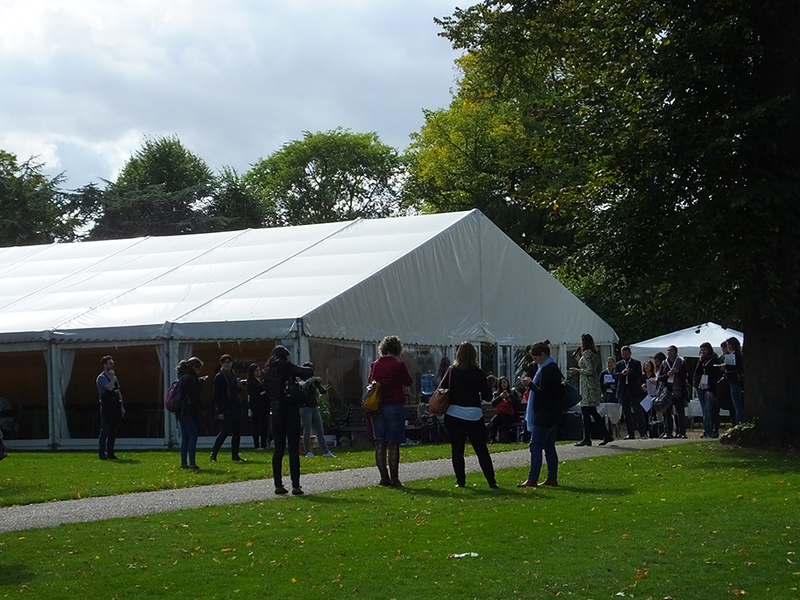 No one knew the conference was going to be held outdoors and so no one came suitably prepared. There were quite a few other hiccups, but as I didn’t pay for my ticket I don’t feel I can grumble about them. I am just thankful to have had the opportunity to met so many fantastic, inspirational people – bloggers and food producers alike. Blogging can be a lonesome activity, so this was a rare treat for me to catch up with people with the same passions as myself. Thanks to you all who made it such a special occasion despite the cold weather (you know who you are!). Thank you so much for the shout out. So glad you enjoyed my sessions. I think we are in agreement on the best talks. 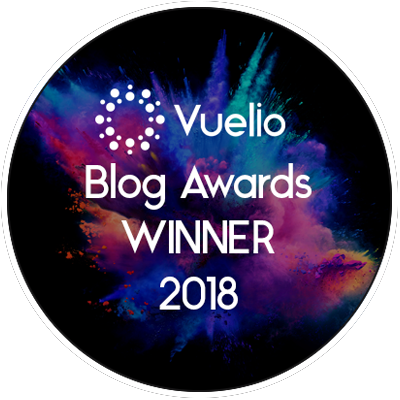 I’d add the recipe writing one by Sophie Grigson and I loved Urvashi’s segment on monetising blogs where she really proved that it’s not just the big blogs that can successfully monetise and that you can do so without compromising your site and style. 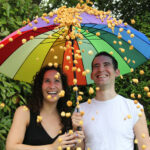 Lovely pics, all the food looks wonderful! Glad you enjoyed it despite a few hiccups. I don’t have many regrets from #FBC15 but one of them is not inviting myself along to go geocaching. 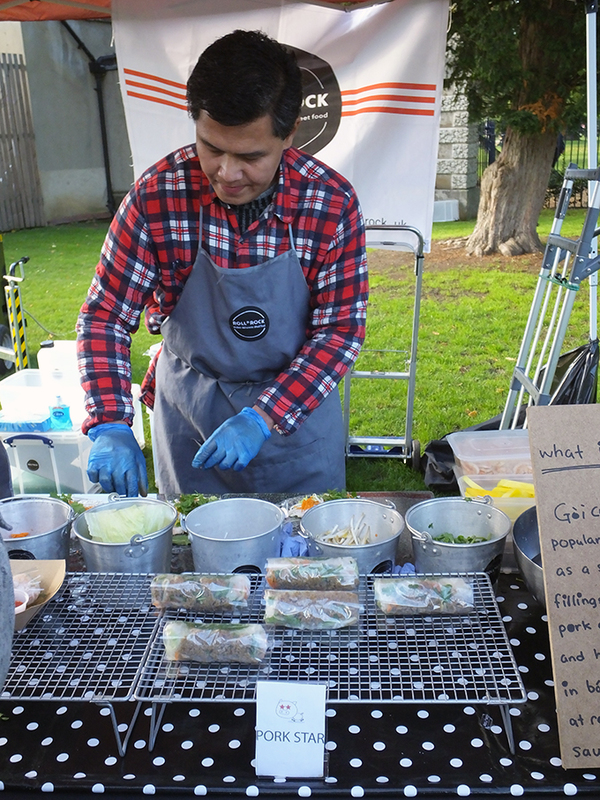 😉 You were my street food hero at FBC – I love a person who will try anything (and then try it again!). 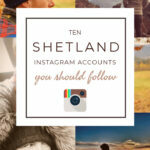 An enjoyable read, I had followed the event on Twitter and Instagram which had me drooling over the food. 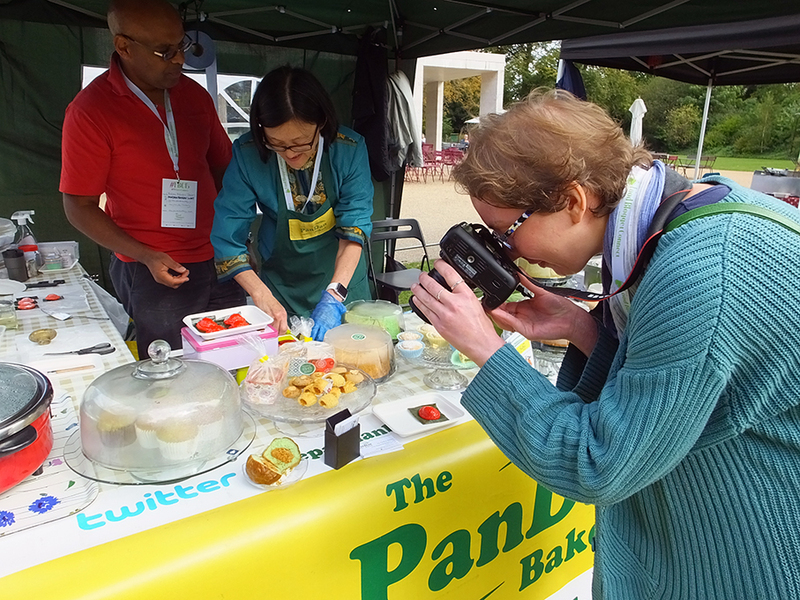 Your photos are also making me hungry, I think I may have been partaking in repeat visits to a number of stalls! The weekend sounds very interesting. I’m the same with crowds and also find it difficult to ‘mingle’ at times. Some of the strEAT party fodd looks great. I love souvlaki one of the best greek street foods!